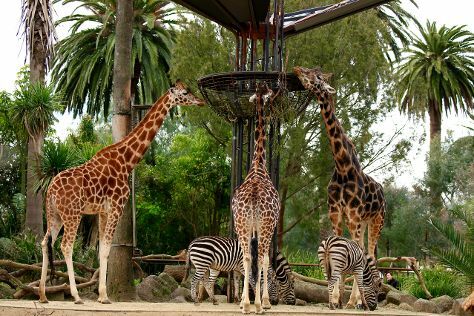 Step out of the city life by going to Melbourne Zoo and St. Kilda Beach. Spend the 26th (Sun) wandering through the wild on a nature and wildlife tour. Next up on the itinerary: take in nature's colorful creations at Royal Botanic Gardens, get your game on at Zero Latency, see the interesting displays at Melbourne Museum, and trek along Fitzroy Aboriginal Heritage Walking Trail. To find more things to do, other places to visit, reviews, and tourist information, use the Melbourne trip itinerary planner. Manchester, UK to Melbourne is an approximately 26-hour flight. You can also do a combination of flight and train. The time zone difference moving from Greenwich Mean Time (GMT) to Australian Eastern Standard Time (Victoria) (AEST) is 10 hours. Traveling from Manchester in July, expect Melbourne to be a bit cooler, temps between 15°C and 6°C. Finish your sightseeing early on the 27th (Mon) so you can travel to Sydney. 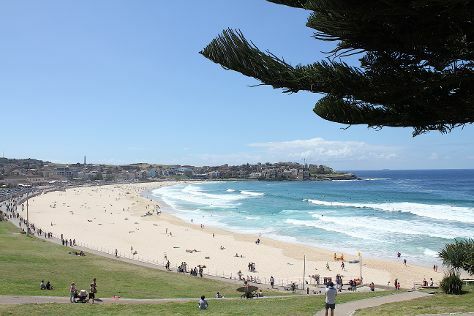 Get in touch with nature at Bondi Beach and Dolphin & Whale Watching. Spend the 29th (Wed) exploring nature at Sydney Harbour National Park. There's lots more to do: catch a live performance at Sydney Opera House, take a stroll through The Rocks, snap pictures at Sydney Harbour Bridge, and tour the pleasant surroundings at Dudley Page Reserve. To find maps, photos, reviews, and other tourist information, use the Sydney online day trip planner . Traveling by flight from Melbourne to Sydney takes 3.5 hours. Alternatively, you can do a combination of shuttle and flight; or drive. Traveling from Melbourne in July, you will find days in Sydney are a bit warmer (21°C), and nights are about the same (9°C). Finish up your sightseeing early on the 31st (Fri) so you can travel to Airlie Beach. Get outdoors at Scuba & Snorkeling and Whitehaven Beach. On the 2nd (Sun), spend a thrilling day on the water with a speed boat tour. It doesn't end there: get a new perspective on things with Boat Tours & Water Sports and look for gifts at Into The Blue Gallery. To find where to stay, photos, more things to do, and tourist information, refer to the Airlie Beach trip builder website . You can do a combination of flight and bus from Sydney to Airlie Beach in 6 hours. Other options are to do a combination of flight and ferry; or drive. Prepare for a bit warmer weather when traveling from Sydney in August: high temperatures in Airlie Beach hover around 26°C and lows are around 21°C. Finish up your sightseeing early on the 3rd (Mon) so you can catcht the bus to Whitsunday Island. 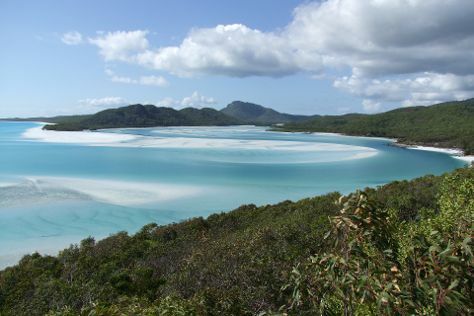 On the 4th (Tue), explore the activities along Hill Inlet and then kick back and relax at Whitehaven Beach. To find photos, traveler tips, more things to do, and more tourist information, go to the Whitsunday Island road trip site . You can take a bus from Airlie Beach to Whitsunday Island in an hour. Alternatively, you can ride a ferry. Traveling from Airlie Beach in August, plan for a bit cooler nights in Whitsunday Island, with lows around 13°C. Wrap up your sightseeing on the 4th (Tue) early enough to travel to Port Douglas. Get in touch with nature at Safaris and Hartley's Crocodile Adventures. Spend the 5th (Wed) among aquatic life with a scuba or snorkeling tour. There's still lots to do: enjoy the sand and surf at Four Mile Beach, head outdoors with The Bump Track, get to know the resident critters at Wildlife Habitat Port Douglas, and relax and rejuvenate at some of the top local wellness centers. To find maps, photos, other places to visit, and other tourist information, read Port Douglas trip planner . Traveling by combination of flight and shuttle from Whitsunday Island to Port Douglas takes 4 hours. Alternatively, you can do a combination of bus, flight, and shuttle; or take a train. Traveling from Whitsunday Island in August, you can expect nighttime temperatures to be somewhat warmer in Port Douglas, with lows of 19°C. Finish up your sightseeing early on the 8th (Sat) so you can go by car to Cairns. We've included these beaches for you: Palm Cove Beach and Yorkeys Knob Beach. Take a break from the city and head to Scuba & Snorkeling and Green Arrow Walk. Go for a jaunt from Cairns to Palm Cove to see Spas & Wellness about 30 minutes away. Spend the 10th (Mon) wandering through the wild on a nature and wildlife tour. There's more to do: trek along Esplanade Boardwalk and sample the tasty concoctions at Blue Sky Brewery. To see traveler tips, more things to do, reviews, and tourist information, read our Cairns online trip itinerary planner . Traveling by car from Port Douglas to Cairns takes 1.5 hours. Alternatively, you can take a bus; or take a shuttle. In August, daytime highs in Cairns are 31°C, while nighttime lows are 20°C. Finish your sightseeing early on the 12th (Wed) so you can travel back home.